Not my favorite garden plant, as they are hugely overused and abused here in Southern California landscapes, but they do have very pretty flowers. Called Fortnight Lily as they flower about every 2 weeks during the season, the bloom only last 1 day though before disappearing completely. Dietes self-seeds dramatically, if allowed, so it is best to dead had the plants after they flower. 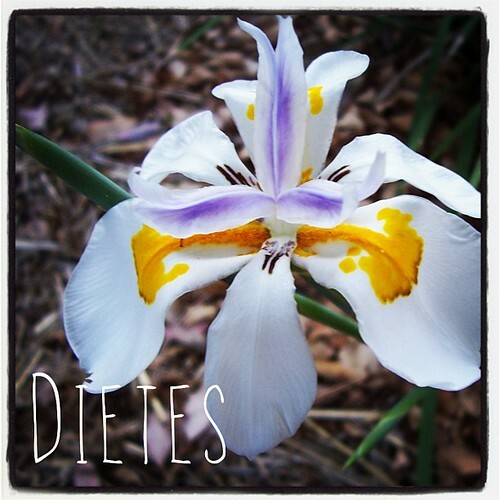 “Dietes is a genus of rhizomatous plants of the family Iridaceae. Common names include Fortnight lily, African iris, Morea or Moraea iris, Japanese iris and Butterfly iris, each of which may be used differently in different regions for one or more of the four species within the genus.